When a man starts to hate himself the path to destruction is already open, the same is true of a nation. I recall that moment with clarity. Global TV News had just finished talking about the achievements of the late John Glenn, when Viola’s fan club came up to the plate. The newscaster described Desmond's refusal to move from the "whites only" area of the Roseland movie theatre as a "brave and defiant act" and a "transformative protest". To bolster the point, interviewee Dr. Annette Henry noted that since she did it 9 years before Rosa Park, Rosa Park was the American Viola Desmond, rather than the reverse. Makes you proud to be a Canadian, doesn’t it? Two things quickly occurred to me. Neither Global National or BC Global News used the word "brave" to describe John Glenn's first voyage in space. In other words, it apparently took more courage to defy the seating arrangement rules of a movie theatre in Nova Scotia than it did to sit at the top end of a rocket, be propelled into space, revolve twice around the planet in a tiny capsule, re-enter the atmosphere and land in the ocean intact. Keep in mind that as humiliating as it was for a black woman in Nova Scotia to be denied entry to a portion of a movie theatre because of her race, there wasn’t a lynch party of Klansmen waiting outside for her when she left. Her refusal to leave her seat prompted the theatre manager and a police officer to drag her off, and in the ensuing scuffle, her hip was injured. But still, suffering an injury of that nature, and being jailed and fined didn’t carry the risk that Glenn incurred. The repercussions that Desmond suffered were less than life-threatening. Glenn's life in space was on the line for 5 hours. Courage? Bravery? Game-changing? My vote would go the astronaut. Ah, but you see, MacDonald the nation-builder was a racist who did much harm to native people, and racists don’t deserve to be on our currency or standing in front of Victoria City Hall for that matter. Or so goes the vindictive anti-white narrative of the social justice coalition. But the truth is, as Richard Gwyn pointed out, MacDonald was unusually liberal-minded for his time. Among his lifelong friends were Indians and Métis. He wasn’t in the least afraid to tell the truth about relations between native people and whites, as in: ‘We must remember they are the original owners of the soil of which they have been dispossessed by the covetousness or ambition of our ancestors’. Most remarkably, he got MPs to agree to the most imaginative reform of his time: any Indian could gain the vote while retaining all his privileges, such as freedom from taxes. Unhappily, Laurier cancelled this reform, with the measure not restored until John Diefenbaker did so in 1960, which was far too late to make any difference. His actual policy for getting food to the Indians — one his critics always avoid citing — was: ‘We cannot as Christians, and as men with hearts in our bosoms, allow the vagabond Indian to die before us . . . We must prevent them from starving, in consequence of the extinction of the buffalo and their not yet (having) betaken themselves to raising crops’. The man was obviously not a saint, but then who was? Certainly not his aboriginal counterparts. Certainly not Chief McQuinna of the Nootka who had a Vancouver school named after him. MacDonald had many faults but cannibalism wasn’t one of them. He drank whiskey, but never blood. And the "genocide" which he was falsely accused of was not an uncommon practice of native tribes and tribal leaders in countless tribal wars across the land for millennia. European settlers did not invent ethnic cleansing. Viola Desmond’s champions tell us that it is important for Canadians to know their history, especially young Canadians. Retired Manitoba Judge Brian Giesbrecht would concur. He wrote that it is both "proper and necessary" for children to be taught the history of Canada’s Indian Residential Schools (IRS) because "… a caring and compassionate society should know its history, warts and all." Then Giesbrecht added a crucial qualification. "But the history that is being taught needs to be accurate. And the IRS story entering classrooms is not accurate at all." He was the unhappy Indigenous boy who supposedly ran away from the Residential School he was attending after suffering physical and sexual abuse from Roman Catholic priests and nuns. This version of the Chanie story is the subject of a popular song, and appears as well in several books, CBC videos, and numerous articles. His story is very moving, and increasingly our nation’s children accept it as fact. Except that it isn’t fact. It comes nowhere close to being the truth. What has been done with Chanie’s story typifies the types of distortion — half truths, exaggerations, and misleading information — that characterize so much of the Residential School story many Canadians now believe to be fact. Space does not allow for the full reproduction of Giesbrecht’s damning revelations here, but you get the gist. Most of what Canadians have been told about IRS by the social justice industry and its CBC mouthpiece is a goddamn lie. Fake history customized to serve the far left agenda of the day. Today it is the plight of aboriginal children or the systemic racism against blacks. Tomorrow it may be about the bullying of transgender people, or alleged wage income gap between men and women. But in every case, viewers are left to ask, "Is that the truth — or did you hear it on the CBC?" 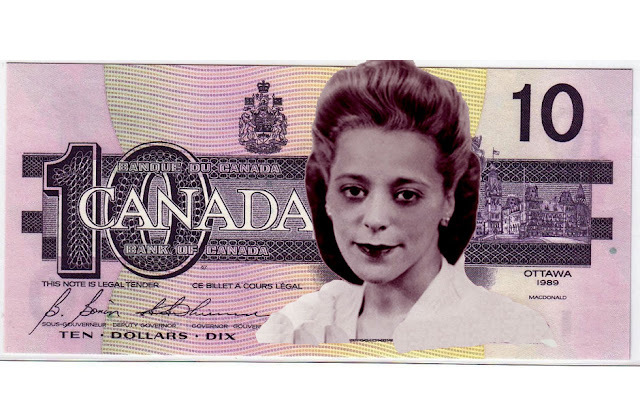 True to form, what we have heard and seen concerning the Viola Desmond story is often contradictory. After ploughing through the 44 minute documentary "Long Journey to Justice", the one minute video of the Roseland theatre incidence, plus numerous articles and interviews, one can be forgiven for feeling confused. 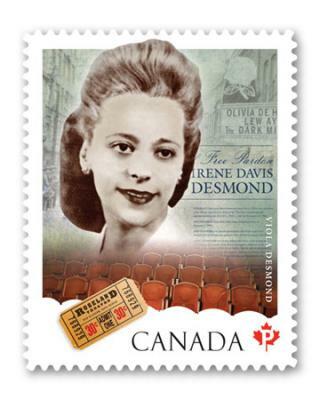 For example, in her song "Viola Desmond" singer Faith Nolan tells us that Desmond "sat down under a sign that said ‘no blacks allowed’", but according to Wikipedia there was no sign that informed patrons about seat segregation. Another article stated that Desmond was sold a ticket to the cheaper balcony seats without being aware of black-white seating policy. However, in the one minute video, when the Desmond character asked for "one ticket down," she was promptly told that those seats were not available to "you people". Another version had Desmond walking toward the downstairs section after purchasing a ticket and being called back because she didn’t have a ticket for that section. Her ‘place’ was in the balcony with ‘her kind’. Her heroism consisted in the spontaneous decision to turn around and find a seat there anyway. In that case her resistance did not begin until after she sat down in the forbidden seat, and at that point, she could not have been unaware of the segregation policy. All accounts agree that when the usher brought the manager over to order Desmond to leave, she was eventually dragged out by "two burly men", arrested, sent to jail with an injured hip, and without being informed of her "right" to counsel. The trouble is, there was no "right to call a lawyer" in 1946. Even Americans did not have Miranda rights until 1966, while Canadians had to wait for the 1962 Bill of Rights and Section 10 of the 1982 Charter of Rights and Freedoms to win a partial semblance of Miranda. Of course, against the backdrop of racial discrimination in Nova Scotia, and Canada at large, critics would dismiss these challenges as mere nitpicking. Maybe, but they serve to illustrate that Leftist narratives must not be swallowed without a least one grain of salt. Court cases and narratives can turn on a neglected or incorrect detail. And given their track record of misinterpreting seminal events like the Vancouver riot of 1907 and the aforementioned "pantheon" of shameful white misdeeds, one be excused for treating Leftist historiography with deep scepticism. The ‘big picture’, as I see it, is not the reality of the patchy and inconsistent color bar that existed in post war Nova Scotia, but the attempt by black activists and their allies to paint anti-black racism in Canada in the same bold and harsh terms as prevailed in the Deep South. Unbelievably, when Canadian activists are made aware of how much rougher life was for blacks in America, they say what was said in the documentary. "At least down South, blacks knew what the rules were, but here the rules varied from place to place day to day." Which leads one to ask, if white Canadians were so horribly racist, why wasn’t there an underground railway in the other direction? The point here is that our enemies are manufacturing history and manufacturing heroes, while discrediting ours. Media outlets like the CBC are not giving us the full goods. As a consequence, a whole generation is being brought up to believe in a world that never was. Yet they accuse "the Right" of nostalgia for a past that never happened. A classic case of projection. CBC journalists, history teachers and academics all work for the Ministry of Truth. Like Orwell’s Winston Smith in 1984, their work consists of revising "back issues" to conform to the present narrative, in service of a globalist agenda. They have made Viola Desmond a courageous, trailblazing hero, of the same stature as a Canadian soldier dodging German bullets as he stormed their bunkers at Juno Beach. Give us a break. It has been often said that "Those whom the gods wish to destroy they first make mad." In Canada it would be more appropriate to say that "Those nations the gods wish to destroy they first murder their past". The CBC is on a tear to revise our history. One by one they trot out victims of white racism who overcame discrimination to achieve great things, one identity group at a time. In one week we got Viola Desmond, Willie O’Ree and "The Grant Fuhr Story". I brace myself for what is to come next month. The CBC has also dedicated hours of programming to tell our children that their great grandparents were racists who excluded Chinese, Indians, and Jews out of pure bigotry. As previously stated, a closer examination of the facts would indicate that much of this 'racism' consisted in attempt to stem the influx of cheap imported labour which was driving down the living standards of Canadian workers. But this side of the story never gets a hearing. The end game is to deprive old stock Canadians and their descendants of the moral authority to restrict immigration, resist quota hiring, or reverse the blatant discrimination against white male students and job applicants. Thanks to classroom indoctrination students believe that white settlers stole the land, oppressed racial minorities, and contributed nothing to their well being. So it is not "OK to be white." The jury has handed down its verdict. White people, the Canadians of European origin, are a blight. So why shouldn’t they expiate their original sins by joining the mob to tear down more of their statues — and celebrate the alleged courage of manufactured heroes and the disgrace and demise of their own?